Zune Originals and Zune Specials were Microsoft's programs that allowed customers and partners to custom-build laser etched Zune players. I customized devices for individuals, corporations, events, and special occasions. 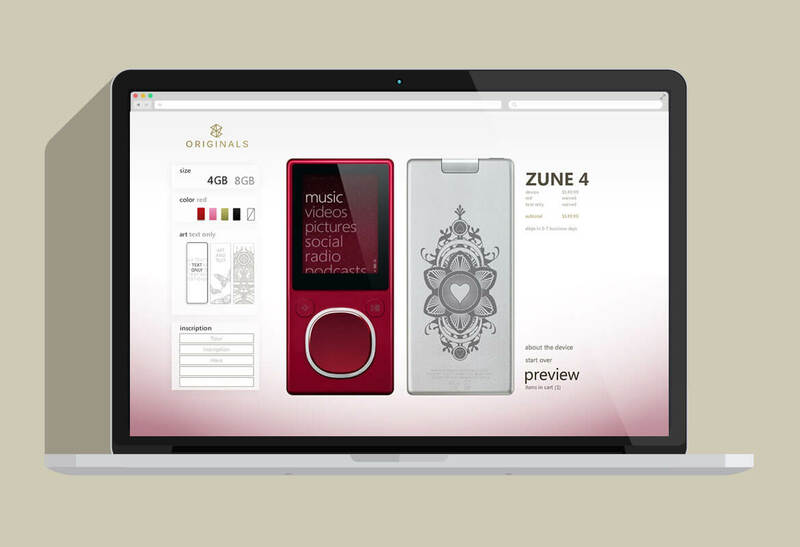 Zune Originals was an online store that allowed you to custom-build your laser etched Zune player purchased exclusively through zuneoriginals.net. 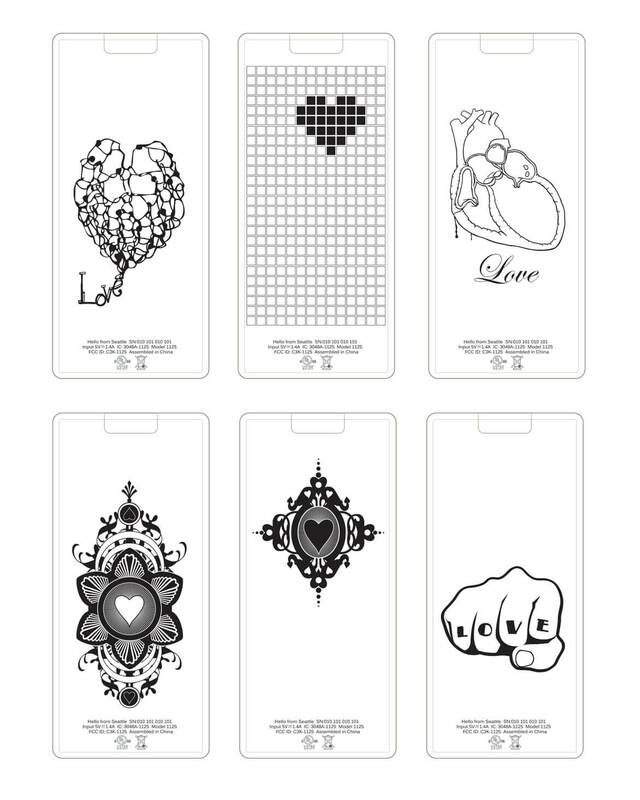 These illustrations were part of the Zune Originals laser etched offerings for a Valentine's Day promotion. 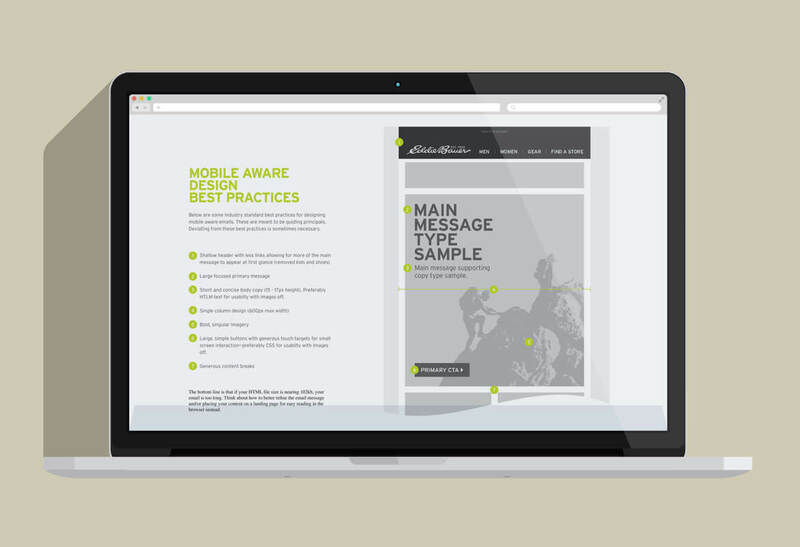 Zune Arts brings the best creative minds to collaborate on inspiring works of art under themes of sharing, connection, discovery, and friendship. Zune Arts is continuously growing, ever-evolving, and always open to new voices, influences and ideas. The relationship is natural. A new BMW owner will be able to customize their Zune to match their vehicle as well as choose from a selection of artists.